Hill+Knowlton Strategies has hired Austin Taczli as H+K U.S. director. 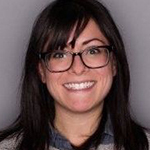 Taczli comes to H+K from Outcast, where as an account director she supported the agency’s Amazon devices business, working on Alexa, Fire TV and Kindle. Her agency experience also includes stints at Grayling, Ogilvy Public Relations, and MWW. Clients she has worked with include Sony, Nike, LG and Samsung. At H+K, Taczli will be the client lead for the Ford Smart Mobility work in the U.S., driving global agency coordination with her counterparts in Europe and Asia, and supporting the new client team in North America. 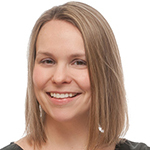 BoardroomPR has promoted Laura Burns to VP. Burns was previously an account director with the firm. Prior to joining BoardroomPR, Burns was an executive producer at WPLG/Channel 10 News, the ABC News affiliate in Miami. She specializes in media relations and crisis communications, and works with clients in a variety of industries including real estate, technology and education. Burns also plays a large leadership role in Boardroom’s South Florida and Orlando offices. 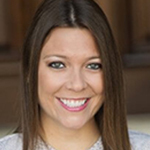 Acceleration Partners has promoted Emily Tetto to VP of talent and culture. Tetto has been with Acceleration since 2012, most recently as senior director, talent and culture. Before coming to the firm, she was an event marketing manager with Reebok, and a marketing & event design manager at PBD Events. She oversees the culture of Acceleration Partners, as well as talent acquisition, professional development and training. In her new role, she will continue working on AP’s global expansion initiatives, with a focus on ensuring that the firm’s culture remains consistent internationally. Greenfly, a community collaboration platform for creating and sharing social media content, has hired Andrew Patterson as VP of partnerships and strategy. 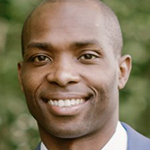 Patterson joins Greenfly from MLB Advanced Media, where he was senior director of new media and business development. His duties included leading the growth of baseball’s social media capabilities and building strategic relationships with new media platforms. Before coming to MLB Advanced Media, he was a senior analyst at Digitas. Greenfly was co-founded by Shawn Green, a two-time MLB All-Star who played for the Toronto Blue Jays, Los Angeles Dodgers and New York Mets, and Daniel Kirschner, a senior digital media executive and a former senior advisor on internet policy at the Federal Communications Commission.